I love our house. It has great natural light. All the walls are painted a pretty off-white color that feels so bright and fresh. After we purchased it last year, there wasn't much that we had to do right away because it was well maintained. They even put in new carpet before we moved in! We've been in our home for almost a year and a half now. One question everyone always asks is when we're going to paint our walls. I love the bright off-white color and I don't plan on changing it anytime soon. Eventually, we may paint the bathrooms because they really are completely white—the walls, the tile, the floor, and the vanity are all white, so I could understand needing some contrast there. But painting our main floor—heck no. First, we would have to paint everything because it's all open concept. Secondly, I don't know if I could pick another color that I would love that much to paint my entire main living area in. I've also added color in my decor. I have a blue armoire, colorful decorative accents, patterned area rugs, abstract art, and lots of house plants. In all of these images, the walls are a white/off-white color. 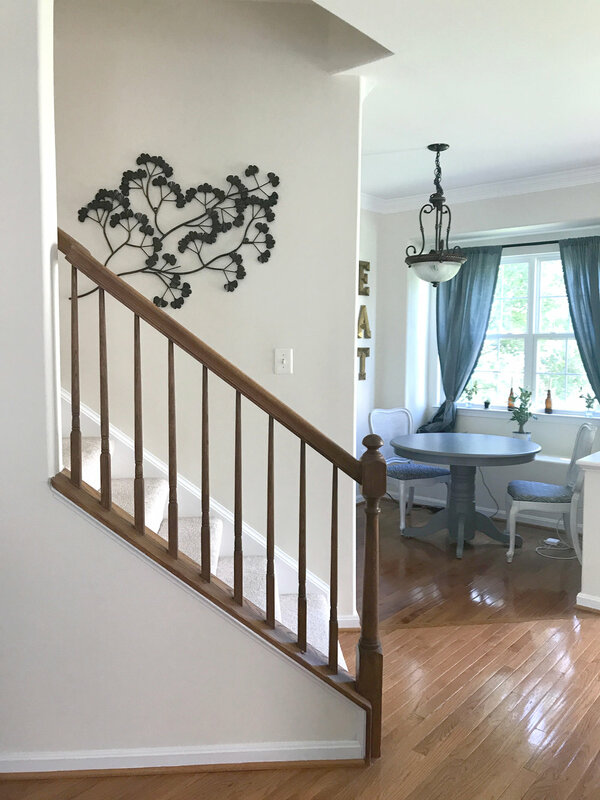 By painting my banister, it adds some color, modernizes and highlights it in the space. I fell in love with the idea and had to do it right away. I got some paint samples and picked one out with my husband. 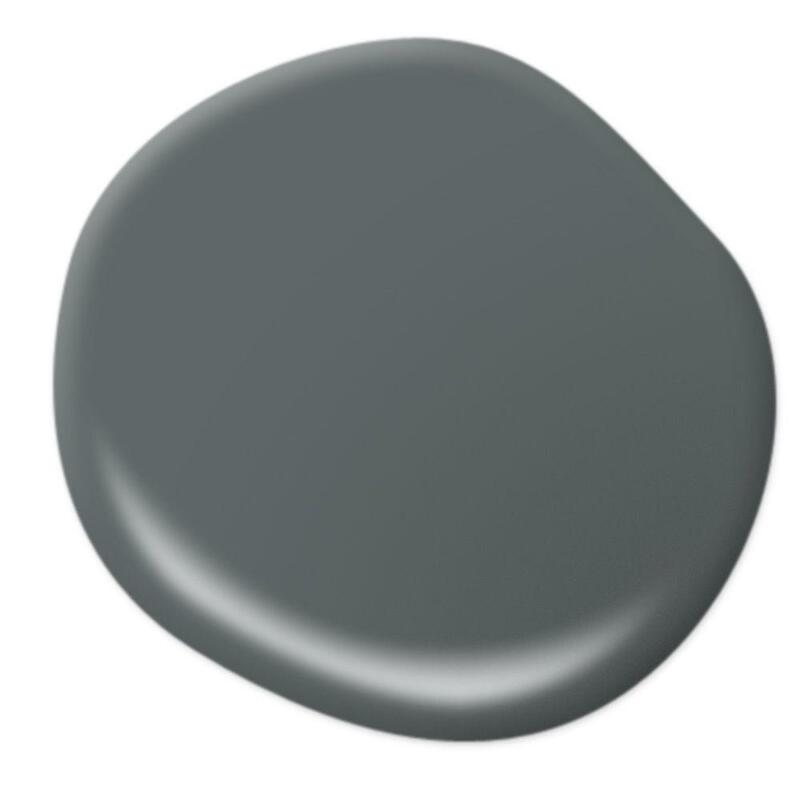 We decided on "Binary Star" by Behr. It's a nice dark gray (without being too dark) with blue and green undertones. It compliments our décor and style very well. It's also been cool to see the color "change" throughout the day in different light. I got it in semi-gloss enamel so that it would have some shine next to my flat wall paint. The hardest part was definitely taping everything off to make sure I didn't get any of the dark paint on my white trim or our light beige carpet. From there it was smooth sailing. We had to do two coats, but I think it ended up looking fantastic. It's a not a giant difference, but I really love how it turned out. What do you think? 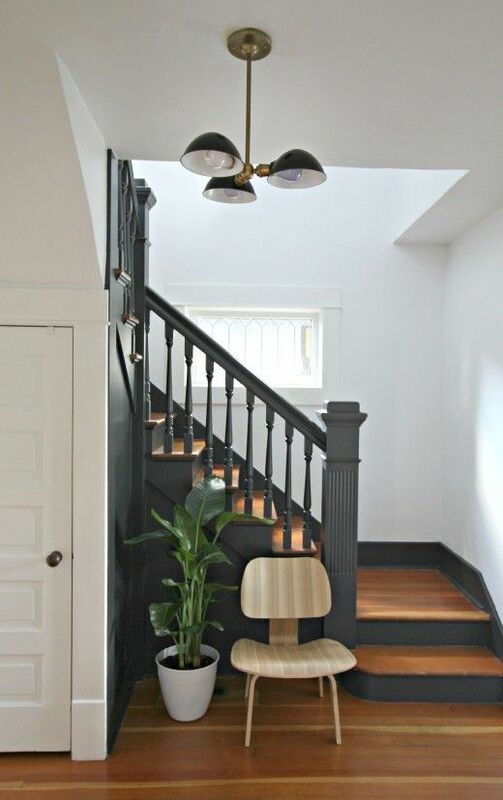 Would you paint the banister in your house? What's another simple home project that you've done to update your space?